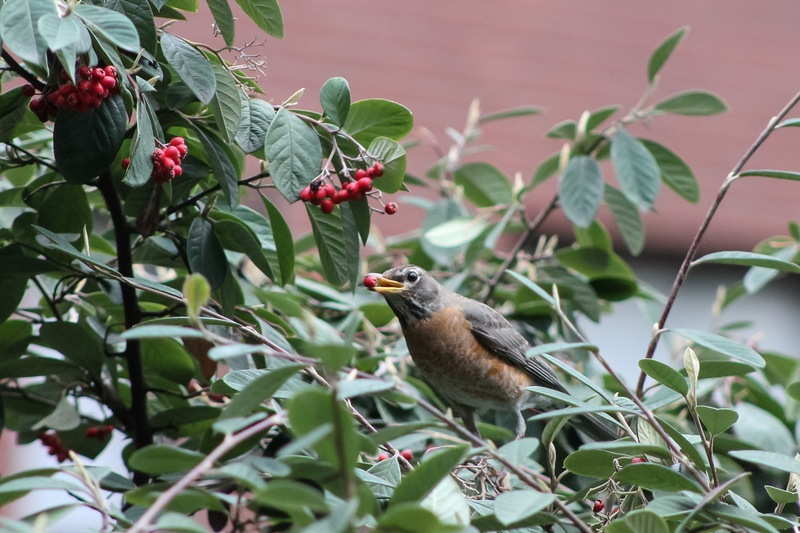 This American Robin is a simple city bird within the noisy and complex Downtown od Seattle. Yet, it makes the most of the local city park behind the Washington State Convention Center, taking time to enjoy the small pockets of nature between the concrete floors in the shadows of the surrounding towers. For the afternoon, it goes the healthy route and eats small berries, one at a time. Soon it will flutter away, perhaps to its nest to relax and read something. I try and do the same. Posted on March 2, 2016 by Orion T.	This entry was posted in Citynature, Nature, Photography and tagged birds, nature, parks, robins, Seattle. Bookmark the permalink. What would a robin read? I think….The Bird’s Nest at Harbor Corner by Christopher Robin?